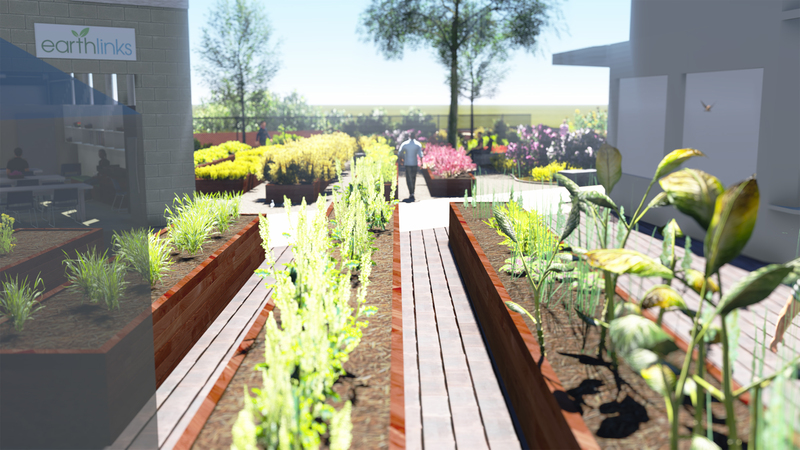 Boulder Associates Architects collaborates with EarthLinks to provide a space for Earth-centered programs that battle homelessness and poverty. At age 13, Roy tried to end his life by overdosing on pills. Instead of taking him to a hospital, his family put him in a closet which is where he woke up three days later. This was only the beginning of Roy’s long path of self-loathing and self-destruction. Finally, at age 59, Roy decided enough was enough. With the help of EarthLinks — a Denver-based non-profit dedicated to helping adults who struggle with addiction, homelessness, and poverty — Roy began to turn his life around. In 2014, increased rent and neighborhood gentrification led the organization to search for a new, permanent location. After a lengthy process, EarthLinks purchased half an acre of land in the Sun Valley neighborhood of Denver; however, with poorly insulated walls, asbestos, and a failing roof, the site would need some love before they could move in. After hearing of the non-profit’s renovation needs through a longtime friend and colleague, Boulder Associates Architects’ Principal, Nick Rehnberg, offered his firm’s services. “Once we toured their existing facility, learned about their mission, and met their staff, it was really clear that this was an organization we wanted to get behind,” said Nick.